The importation and exportation of currency is governed by the Reserve Bank of Zimbabwe (RBZ) in terms of the Exchange Control Act [Chapter 22:05] as read with Exchange Control Regulations, Statutory Instrument 109 of 1996. The importation of currency into Zimbabwe by travellers is not restricted. This implies that any person can bring in any amount of currency into Zimbabwe. However, all visitors to Zimbabwe are encouraged to complete a Baggage Declaration Form (Form 47) and declare the currency in their possession at the time of entry. The processed declaration forms may be used to support re-export of any balance of currency at the end of the visitor's stay in Zimbabwe should the amount of cash exceed the allowed export thresholds. Members of the public are advised that the limit on the amount of currency to be taken out of Zimbabwe by travellers on their person or in their baggage as they leave the country is controlled. Following the promulgation of the Exchange Control (General) (Amendment) Order, 2017, (No. 18) published in Statutory Instrument 93 of 2017, the amounts have been increased from US$1,000 to US$2,000 or its equivalence in any other currency or combination of currencies, including bond notes and coins. If a traveller wishes to export cash in the combination of all currencies, the cash so exported shall not exceed the equivalence of US$2,000 on exit. Where the individual intends to export currency above these stipulated thresholds, he/she shall seek specific approval from the Exchange Control Unit at the Reserve Bank of Zimbabwe. All travellers leaving Zimbabwe are urged to strictly adhere to the limits stated above. Any excess currency found in possession of travellers without authority shall be seized and may be forfeited to the State. The importation and exportation of certain goods and substances is restricted. However importations and exportation of such goods is possible only under certain conditions such as production of a relevant permit or licence. For some products, the importation or exportation is absolutely prohibited. ZIMRA has been charged with the control of these import and export restrictions and prohibitions. Why restrict or prohibit importation or exportation of certain goods or substances? Stills and all apparatus or parts of apparatus capable of being used for the production or refining of alcohol. The traveller's rebate is a duty-free allowance which is granted to travellers, subject to prescribed conditions. It is divided into two categories namely total rebate and partial rebate. Total Rebate is an allowance granted on all used personal effects. Personal effects means articles pertaining to or carried upon the body such as used clothes and toilet requisites but excludes such articles as radios and cameras, among others. 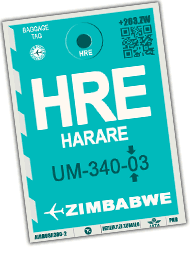 - Any person employed as the pilot or master or any member of the crew of an aircraft or vehicle arriving from outside Zimbabwe is excluded from enjoying the travellers' rebate. This implies that importation of such goods will attract duty despite the fact that the value might be under the duty free allowance of USD200.00. Section 120 (1) (b) of the Customs and Excise Act [Chapter 23:02] as read with Section 105 of the General Regulations (Statutory Instrument 154 of 2001) and Section 12 (3) of the Value Added Tax Act [Chapter 23:12] provides for a rebate of duty and Value Added Tax (VAT) on household and personal effects and other goods for personal use that are imported by qualifying individuals and not companies. Goods imported for commercial or trade purposes do not qualify for a rebate under these provisions. Who qualifies for the immigrant's rebate? d) For the purpose of attending any educational institution. e) To any person who has previously resided or has been employed in Zimbabwe and is returning to Zimbabwe after having resided outside Zimbabwe for a period of not less than two years. The person requesting for the rebate should approach the respective ZIMRA office for formalities. What documents does one need to submit to be considered for the immigrant`s rebate? What kind of goods can be imported under the Immigrant's rebate? An immigrant can import duty free any personal and household effects such as clothing, linen and furniture. The goods must also be in physical existence and fully paid for by the immigrant before the time of arrival. What is time of arrival? for an immigrant coming to Zimbabwe for the first time, it is the first occasion on which the immigrant enters Zimbabwe after the grant of the employment permit or resident permit. for an immigrant who comes in as a visitor and does not depart from Zimbabwe after the grant of residence or employment permit, it is the first occasion the immigrant imports personal effects/goods within three months from the date of grant of the permit. for a former resident who enters Zimbabwe as a visitor and does not depart from Zimbabwe shall be deemed to be the first occasion on which the immigrant imports any personal and household effects and other goods within three months from the grant of the permanent returning resident status. for a former diplomat who remains in Zimbabwe to take up employment or permanent residence, is the first occasion the former diplomat/immigrant imports any personal and household effects and other goods within three months from the date of grant of his new employment permit or residence permit. Are there any restrictions on goods cleared under Immigrants' Rebate? NB: Any violation of the conditions in (1) and (2) above makes the goods liable to seizure. Misuse or attempts to misuse the provision on rebates is an offence in terms of section 174 and 184(g) of the Customs and Excise Act [Chapter 23:02] and can result in prosecution or penalties or seizure of the goods. (i) Building materials as may be approved by the Commissioner but provided that such materials are not produced locally. this duty free concession does not extend to furniture like chairs and benches. Should goods imported under rebate be sold or otherwise disposed of, the rebated duty becomes due and payable to ZIMRA. Although this rebate is meant for charitable organisations, religious organisations designated by the Minister of Finance as relief organisations may also enjoy the rebate. This rebate of duty covers goods imported for free distribution to the needy. It excludes new clothing, footwear, bed linen and foodstuffs. The goods have to be approved by the Commissioner General and should not be sold or disposed of without his written consent. Religious organisations can also benefit from the rebate of duty on goods donated to them for use in charitable or welfare work. The organisation and the goods must have been approved by the Commissioner General. Where the goods have been paid for with funds from local banking institutions or local branches of banking institutions registered and operating in Zimbabwe whether or not the funds were donated and payment is for freight. The importation of second-hand or used motor vehicles. The importation of new clothing, shoes and bed linen. In terms of Section 39 of the Customs and Excise Act [Chapter 23:02], all importations into Zimbabwe have to be entered for Customs purposes. The airport is regarded as one of the designated ports of entry where goods may be imported into the country. How are goods imported by air cleared? held by the Zimbabwe Revenue Authority (ZIMRA) in a State Warehouse pending clearance. Individuals disembarking from aircraft shall declare their baggage at the airport or aerodrome of first landing. These routes at an airport are used for declaration purposes. Use of the Green Route implies that the traveller is carrying non-dutiable goods, is within his/her duty-free allowance, and is not in possession of any prohibited and/or restricted goods. The Red Route is used by travellers who have goods which are in excess of their travellers' allowance or commercial goods where duty must be paid, those who have controlled goods and those who are not very sure of which route to take must use.. Please note that travellers with firearms, including hunting rifles, must also use the Red Route. Unaccompanied goods are placed in a transit shed pending clearance, which should be done within 10 days, failure of which the goods will be taken to a State Warehouse. How are private unaccompanied goods cleared? Private individuals, upon being notified of the arrival of their goods by the transit shed operator, shall proceed to the port of arrival and complete a Customs Declaration Form (Form 47), submitting all the supporting documents to the ZIMRA officer for proper clearance and calculation of duties where due. How are commercial importations cleared? Merchandise imported into the country by air shall be cleared at the port of entry. For merchandise less than US$1,000 in value, declaration on Form Number 47 shall be made to ZIMRA officials at the port of entry, together with submission of supporting documents showing the cost, nature, quantity, freight and insurance charges. Physical examination may be done on the goods and duties calculated with reference to the documents submitted. For merchandise equal to or exceeding US$1,000 in value, importations shall be cleared on a Bill of Entry (Form 21). Companies, including individuals who will be importing commercial goods and are not registered with ZIMRA as declarants, will be required to engage the services of a ZIMRA registered clearing agent. How are freight and insurance costs treated? On commercial and unaccompanied private importations, freight and insurance provided on the invoice or airway bill shall be compared with 15 per cent of the free on board value and the lower shall be applied in computing the value for duty purposes (VDP). However, it should be noted that freight and insurance charges on accompanied personal baggage are not considered in the computation of VDP. What rates of duty are used? The rates of duty applicable are the ones prevailing on the date of importation. For private importations, flat rates of duty are applied unless a request is made to use proper Customs Tariff rates prior to the calculation of duty. Proper Customs Tariff rates apply for all commercial importations.